Get ready for a minion laughs in the funniest blockbuster hit of the year! Vying for the title of "World's Greatest Villain", Gru (voiced by Steve Carell) – along with his hilarious crew of mischievous minions – plots to pull off the craziest crime of the century: steal the moon! 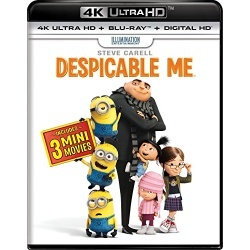 But when Gru enlists the help of three little girls, they see something in him nobody else has ever seen: the perfect dad. 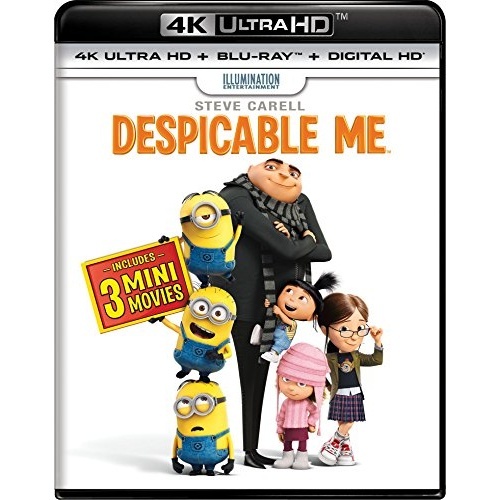 From executive producer Chris Meledandri (Horton Hears a Who, Ice Age), and featuring the voices of an all-star comedic cast, including Jason Segel, Russell Brand, Miranda Cosgrove and Julie Andrews, Despicable Me is "rousingly funny, heartfelt and imaginative" (Pete Hammond, Boxoffice Magazine).